Everyone Pays the Same Great Price at Our Alliance Dodge Dealer! At Wally Armour Chrysler Dodge Jeep Ram in Alliance, our goal is to make your car shopping experience as relaxed and stress-free as possible. Whether you are in the market for a new or used car, we offer our UpFront Hassle Free Pricing Guarantee to all of our customers. Wally Armour Chrysler Dodge Jeep Ram proudly serves the Alliance, Minerva and North Canton areas. You’ll discover that each vehicle is equipped with a window sticker showing shoppers exactly the price you pay. Rather shop at home? No problem! Browse our new and used inventory from the convenience of your home by visiting our website. We encourage you to choose a vehicle from the extensive selection our RAM dealer near North Canton and leave the rest to us! Each vehicle has our upfront price on the windshield for easy visibility and no confusion. All of our customers receive the same great low price. It’s like shopping at a bargain dealership! No gimmicks or small print. Just add the tax, titling and documentation fees to our advertised priced and you can drive home in your car of choice! We don’t waste your time or money! Prices are so low there’s no need to be a great negotiator to get the deal. Honest appraising on your used car or truck with a cash offer that is not tied to the purchase of another vehicle. We constantly are on the lookout for new fresh trades and are open to take vehicles in on trade or buy them from customers. Straightforward payments. 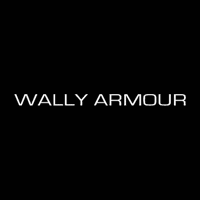 The Wally Armour staff is happy to help you find the best place to finance your new car or truck. Since our UpFront Pricing Guarantee includes rebates, incentives and other factors, prices change on a regular basis. It it important to check back often or contact us for more information. Our representatives will be happy to answer all your questions as well as a hassle-free car buying experience. Our Jeep dealer near North Canton offers a wide selection of vehicles. Alliance, North Canton and Minerva area shoppers won’t find a better selection or better prices anywhere other than at Alliance.